Henry Townsend, a black farmer, bootmaker, and former slave, has a fondness for Paradise Lost and an unusual mentor -- William Robbins, perhaps the most powerful man in antebellum Virginia's Manchester County. Under Robbins's tutelage, Henry becomes proprietor of his own plantation -- as well as of his own slaves. When he dies, his widow, Caldonia, succumbs to profound grief, and things begin to fall apart at their plantation: slaves take to escaping under the cover of night, and families who had once found love beneath the weight of slavery begin to betray one another. Beyond the Townsend estate, the known world also unravels: low-paid white patrollers stand watch as slave "speculators" sell free black people into slavery, and rumors of slave rebellions set white families against slaves who have served them for years. 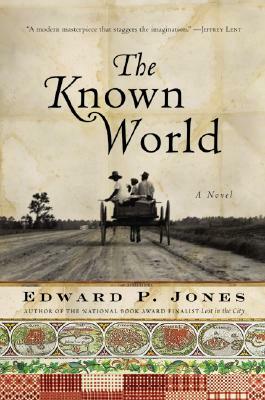 An ambitious, luminously written novel that ranges seamlessly between the past and future and back again to the present, The Known World weaves together the lives of freed and enslaved blacks, whites, and Indians -- and allows all of us a deeper understanding of the enduring multidimensional world created by the institution of slavery.